Help your industry friends and take advantage of the many benefits of IFDA of Texas, Inc. Ask them if they have paid their 2018 Membership Dues! We are excited about what 2018 has to offer our great association. Please take a moment to check with your colleagues and friends to ensure that their dues are paid for the 2018 Membership Year. The online application is a 2 step process. First you complete the registration information then in step 2, you submit your secure payment separately. Click here to complete the online application and pay online. Membership Card with a number of NFDMA benefit. SECTION I, GENERAL PLAN: There shall be Four ( 6) classes of members, namely; General Members, Members-At-Large and Life Members. All members shall be bound by the Articles and By-Laws of this Association. A - The General Membership in this State Association shall be composed of the following person; All licensed Funeral Directors and / or Embalmers who is a member in good standing with there Local or District Associations. B - MEMBERS-AT-LARGE: Where no District or Local Association of the Independent Funeral Directors Association of Texas, Inc. exists, licensed funeral directors and morticians may become Members-At-Large of this Association by making written application and paying the required dues and assessments upon approval of the Board of Directors and the General Body. C - LIFE MEMBERS: Any General Member or Member-At-Large who has given 25 years or more of continuous service to this State Association may become a life member of the Association upon the recommendation of a District or Local Association of the Independent Funeral Directors Association of Texas, Inc. and by vote of the general body. Life Members shall pay dues and assessments as prescribed by this Association, except that the general body may waive dues in a particular case upon the showing of inability to pay. INDIVIDUALS: Any Licensee Funeral Director or Embalming shall apply with his/her state association for membership. This Membership allows you to serve on standing Committees. The Associate membership fee shall be assessed by the State Association. This class of membership shall not have the right to hold and elected State office. STUDENTS: Any student enrolled in acredited school of Mortuary Science or any Provisional Licensee Funeral Director or Embalming shall apply with his/her state association for membership. If there is no Local or District Association they can apply directly to the State office for membership. The student or Provision Licensee membership fee shall be assessed by the State Association. This class of membership shall not have the right to vote or hold offices. ASSOCIATES: Any individual or Vender affiliated with a Funeral Home or the Funeral Service Industry. This class of membership shall not have the right to vote or hold offices. SECTION I. 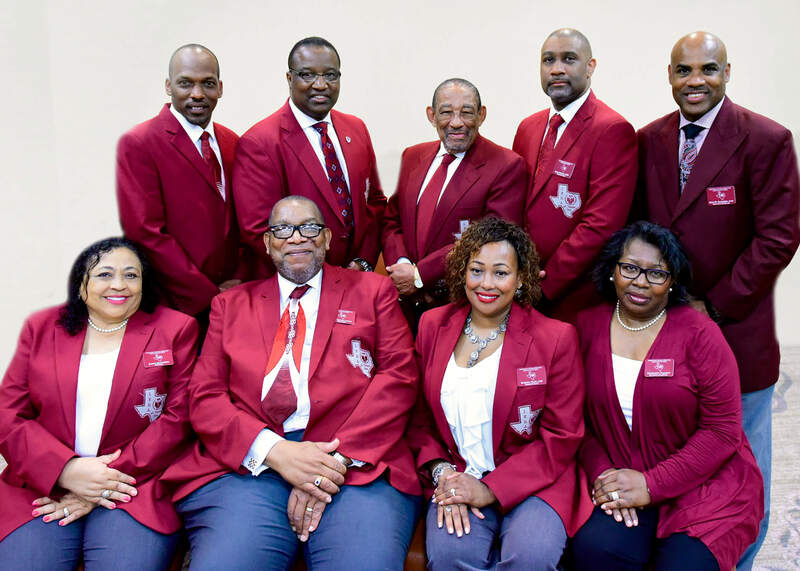 PURPOSE: This is a membership association of Texas Professional Funeral Directors and Morticians , whose members are also members of local or district association (except where no local or district association exits), dedicated to promoting the common professional and business interests of its members. It is not organized for profit or to engage in any activity ordinarily carried on for profit. No part of any net earnings of the Association will inure to the benefit of or be distributed to its individual members, officers, directors and private individuals, except that the Association shall be authorized and empowered to pay reasonable compensation for services rendered and to make payments and distributions in furtherance of the purposes set forth in the articles of incorporation . Notwithstanding any other provision of these By-Laws, the Association shall not carry on any other activities not permitted to be carried on by any Association exempt from Federal Income Tax under Section 501 ( c 6 ) of the Internal Revenue Code of 1986 or the corresponding provision of any future United States Internal Revenue Code. A - To foster research, conduct workshops and educational seminars, investigate funeral practices, develop and maintain standards of conduct designed to improve the business conditions of its members and to maintain high standards of service for the benefit of the public. B - To provide a continuing program of education and services and to develop and disseminate information beneficial to members and the public at large. C - To represent the common professional and business interest of its members before various Federal, State, and local legislative, administrative, and judicial bodies, subject to the limitations of Section 501 ( c 6 ) of the Internal Revenue Code of 1986 or the corresponding provision of any future United States Internal Revenue Code. D - To engage in any other activities consistent with the enumerated purposes and objectives of the Association: provided related activities are not inconsistent with any jurisdiction in which the Charter of Incorporation has been granted for this Association and/or Section 501 ( c 6 ) of the Internal Revenue Code of 1986 or the corresponding provision of any future United States Internal Revenue Code.